Nary a time in my adult life can I remember surfing through a television lineup and landing on PBS sans the days of Mister Rogers. Lo’ and behold, I landed on this interview of my former boss—the Honorable Michael Chertoff—who posits that a social credit scoring system, currently deployed in China, is making its way into Western culture. The message, delivered in the statesman voice of Secretary Chertoff, resonated, nay, provoked me, to explore the impact of privacy and security, and their influence on administration. My social credit score could, in theory, be impacted by the online purchases, how fast I drive, the hours I sleep, the size clothing I buy, my choice to purchase the pepperoni pizza instead of the salad bar? Could my social credit score raise my health premiums (poor diet/sleep habits)? My digital footprint could now inform health care premiums? The 10 miles over the posted speed limit driving inside the Capital Beltway (triggering tolls along every two miles) now hinder my ability to purchase a lower premium inferring I am a high-risk? iPhone location services show regular treks to my VFW. Would this affect my social score positively (advancing the cause of Veteran services) or negatively (consistent Happy Hour pricing is hard to beat in a region mired by $7 drafts). 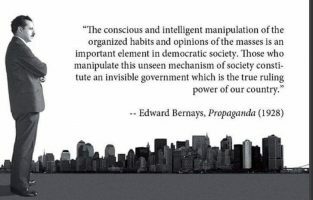 This, my dear colleagues, is what Edward Bernays proselytized in his work “Propaganda”: “...the conscious/intelligent manipulation of organized habits and opinions of the masses is an important element in a democratic society. [But] those who manipulate this mechanism of society constitute an invisible government.” To steal a line from the recent hearings: my name is Skip and I like beer. 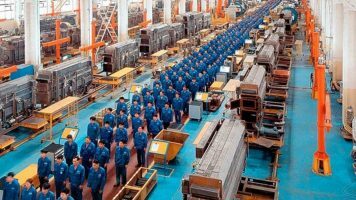 I do not invite an invisible government to remain as a functioning, productive member of my community and our democracy nor invite the production of a social scale to determine such production. Surely, I desire to have access to the best health care, education, communities! The concern, what administrators will have when faced with the conundrum of communities segregated by a social score – undoubtedly fashioned into laws, policies and structures. How would those scores become impacted by affiliation with advocacy groups who march in furtherance of equality, abortion or political persuasion? How might those scores break the societal trends if the communities are built around such metrics? Surely, this is not the Republic proselytized by Madison, Hamilton, Jefferson and Monroe? 60-Minutes heralded that the European laws are beginning to reign in who owns and how your personal information is leveraged. The tag line: “...you paid $1000 for a phone and cannot use that phone unless you agree that all the data goes to someone …a forced consent.” As Americans, we have lost control today about the information that is being randomly collected about our every movement, transaction, and dialogue. How will this information inform future laws, polices and structures? Where does the dialogue begin? The polarity in our society has grown tense and hostile. The Antifa protests (harass) at homes of citizens in DC or harassment of drivers in Portland, OR and defamation of property at a GOP Headquarters is a reminder that civil discourse has run amok. Interestingly, how might the society score algorithm impact Antifa delinquents versus a peaceful #BLM or #MeToo movement event? I digress. The message here is how to frame the narrative as a dystopian society looms! We can debate and discuss — but what is actually needed, as Secretary Chertoff extols, is “dialogue.” Not debate nor discussion. Debate is what occurs when one side is attempting to prove the other wrong; Discussion is often borne from the lens of bias (one sided trying to persuade another); Dialogue is what occurs when there is a forum of collaboration. Creating a dialogue geared towards solutions of building enriching communities and providing equal access to health care, education and basic services such as internet capability must become the focus. An invisible government or social credit scoring is not a solution nor the vision of our forefathers — it is, however, the basis of great fiction. Paranoia about propaganda or social scoring is not my message, nor am I soliciting that there is a building of a secret invisible government. This is, however, a deep topical area to explore. MPA classrooms must not shy from the quest to create dialogue around the impact of social credit scoring and data mining of our citizens and its impact on laws, policies and social and administrative structures.